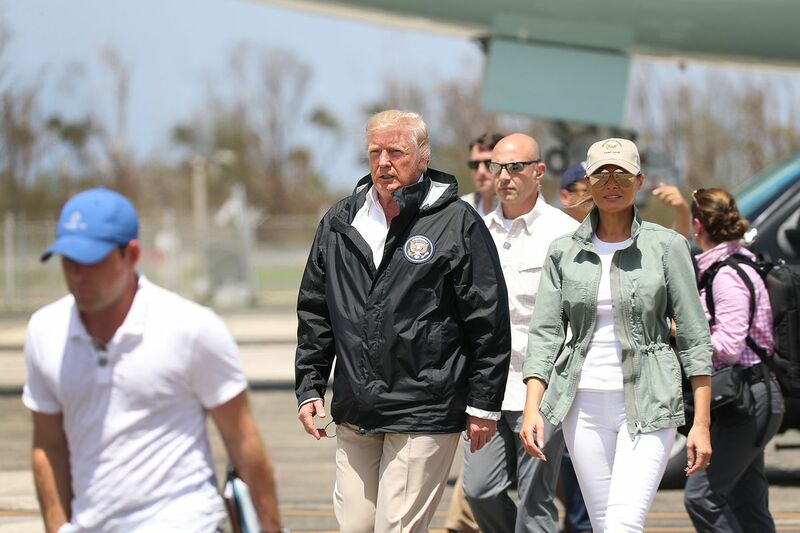 Puerto Rico, recently hit by a hurricane was visited by president Trump who has actually done quite a lot for the island since the hurricane. But to hear the media and liberal politicians tell it, he's done nothing, doesn't care and racist, racist, racist. But the political hackery related to the recovery is clearly coming from the left - including San Juan's mayor. President Trump said she said some nasty things. He did not call her nasty. But she still seems content to bite the hand that helps. San Juan Mayor Carmen Yulín Cruz, who had previously said her criticisms of the federal government's handling of Hurricane Maria relief were about saving lives and "not about politics," took a shot at President Donald Trump by wearing a shirt that read "NASTY" on it during a Univision interview. It's okay - she's a liberal so she's allowed to make the hurricane political. I'm starting to think that the liberal media has completely overplayed it's hand. Nobody who has an ounce of critical think could possibly take the New York Times or CNN seriously anymore. They and other liberal media outlets are just causing themselves to be tuned out and are serving as echo chambers for each others' continued false reality. It's a recipe for another Trump election and possibly even Republican gains in congress in 2018.